Silver Dolphin Books, 9781684121236, 12pp. 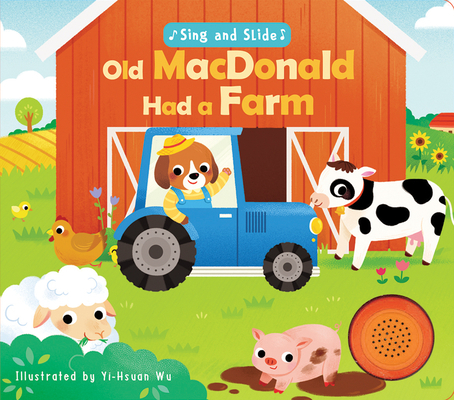 Sing, slide, and spin with Old MacDonald! Sing along with the barnyard classic in this adorably illustrated interactive board book with push-button sound. Little ones will love sliding and pulling the tabs and spinning the wheels as they bounce along with Old MacDonald and his animal friends. The sound chip and interactive elements bring this classic kids' song to life!